Thanks to the awesome people at Little, Brown, I have a prize pack of Jackson Pearce's Sisters Red and Sweetly to give away to one lucky winner! To Enter*, leave a comment with why you want to win! Sisters Red and Sweetly have been on my TBR for ages. I love fairy tale retellings (FTF is a dream come true), and these sound especially good. Thanks for the giveaway! I've had heard of these books and I just haven't gotten around to reading them. And a re-telling of a fairytale sounds interesting. These books haunt me wherever I go, you must know by now how much I love fairy tale retellings! I have no idea as to why I haven't read these 2 books yet - they sound amazing! and the covers are just stunning! I really enjoyed Sisters Red, but I got it from the library so I still need to pick up a copy for my fairy tale collection! And I can't wait to read her other books. I thought Sisters Red did a great job of changing up the much-retold dynamic of Little Red Riding Hood, and I'm very excited to see what she'll do with other stories. I have had my eyes on both of these books for what feels like my whole life. I've gotten them from the library, carried them around in the bookstore, and wondered why the heck I can't just buy the dang books and read them!! I got the audio one time but I hated the narrator. SO. All that to say - I'm DYING TO READ THESE BOOKS!! I've heard so many great things about these books. While the covers kind of creeped me out at first, they seem to have grown on me! Thanks for the giveaway! I've heard a lot of great things about Jackson Pearce's books but haven't had the chance to read them yet. Also, I love the covers! I've been thinking about reading this for a long time. I love fairy tales retellings, and these look readlly creative. I think the covers for these two books are not only beautiful but also very creative. I have read good reviews about them and would love to read them for myself. Thanks for giving us the chance. I really enjoy fairy tale re-tellings. This series has been on my wishlist. Definitely can't wait to see what twists she throws in. I love fairy-tale retellings and I think these two covers are awesome! I would love to win these books because even though I follow Jackson Pearce on Twitter and adore her, I haven't read any of her books yet. These have been on my wish list forever. Thanks fir the giveaway. I would love to win these. I love fairy tales. I have been wanting these for a while. I love fairytales and have been wanting to read these forever! Thanks! I have it on good authority that I should be reading these. The thing is - I don't know if I can wait. I'll have to let you know if I loose control and buy one or both. I had a chance to read the first 20 pages of Sisters Red before I had to take it back to the library and I was already hooked! I would LOVE to own these books! And here's my cover. It didn't turn out like I wanted it to. I was going for a dual "ocean at night" and "eye" theme, but didn't have the time to make it perfect. But, here ya go! 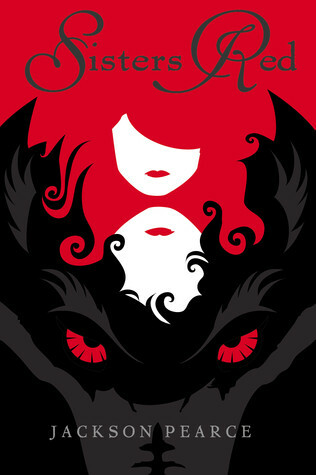 I want to read Sisters Red and Sweetly because I've read great reviews of them over the past few years. Also, I like a good fairytale retelling and I believe these fit the bill. I've been dying to read these. I love fairytale retellings, and I've been a follower of Jackson Pearce for awhile, and have been dying to read her books. I love stories based on fairy tales and I've been wanting to read these two books since I first heard about them. I adore the covers of both these books, I love the play with them. I've been wanting to check them out for some time, though I've heard varying reviews. 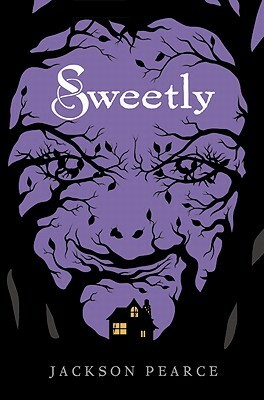 I particularly want to hear Sweetly, which sounds dark and wonderful. These covers are gorgeous...wish I was creative enough to create one! I love fairytale retellings, so I really want to read both Sisters Red and Sweetly! I've heard fabulous things about both books, and I love watching Jackson's vlogs on YT. And the covers are so intriguing! I love fairy tale retellings, and I've been meaning to read some Jackson Pearce for a while now. 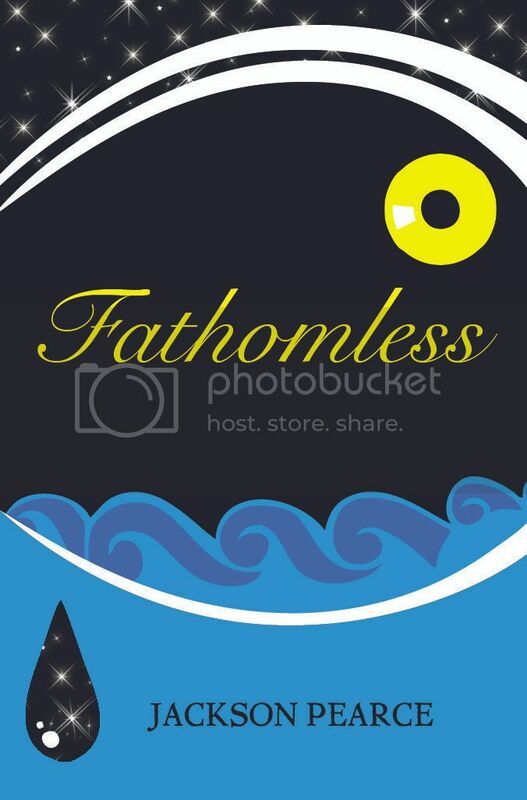 Just hopped over to your post about Fathomless and I love the premise (and your cover mock-up)! The covers are awesome! I have never read either of these books but they have been in my tbr wish list for a lon time! I would be ever greatful for the chance at reading the and seeing what they are truely all about! I love retelling of fairy tales and these both look really good!!! I've been seeing the cover of Sisters Red everywhere. I finally read some reviews and have to read it! It sounds so good! I would love to own them because Jackson Pearce is a real gem. I follow her on youtube and, id like to actually read something of hers. I've heard great things about this series, and I'd love to be able to read them. Because Jackson Pearce is awesome and I don't own the books? It would be a great addition to my book collection and I've heard only good things about it. Would love to win it to read the crap out of it. I've been hearing a lot of good things about these books, so I've been wanting to read them.